The following passage, excerpted from 21 Days of Living Mindfully: Your Guide to Conscious Living, (p.125) resonates with me as gratitude leads me and shapes my life profoundly. Living a grateful and loving life is the key to true happiness and fulfillment. Having a grateful heart and feeling kindness for one another – and from one another – is at the heart of the experience of happiness. There is a quote by Meister Eckhart, the Christian mystic, that illustrates how important a kind and grateful heart can be: “If the only prayer you said in your whole life was ‘thank you’, that would suffice.” Yet for most of us, we are not able to simply tell ourselves to be grateful or loving. Thankfully, these are qualities that respond deeply to nurturance and cultivation. We discover that happiness, gratitude, and love are not about possessing or owning. Instead, it is the discovery of the capacity to love, to have a loving, grateful and free relationship with all of life that is the foundation of happiness. Such feelings are not possessive but are emotions that arise from our own well-being and connection with everything. They are generous and aware – full of freedom for all beings. When we are grateful and loving, we become able to learn to use our gifts to heal and serve, to create peace and honor the sacredness of life, to be accepting of what we encounter, and to wish all beings well. I remember, long ago, being introduced to the concept of being grateful for everything. This was not a practice that came easily for me, having been raised in a household of black and white, right and wrong. Fortunately, I had the good fortune of being able to participate in growth work and began to see my world differently. Over time, I began to understand there is a gift in everything, no matter how difficult the circumstance might be. 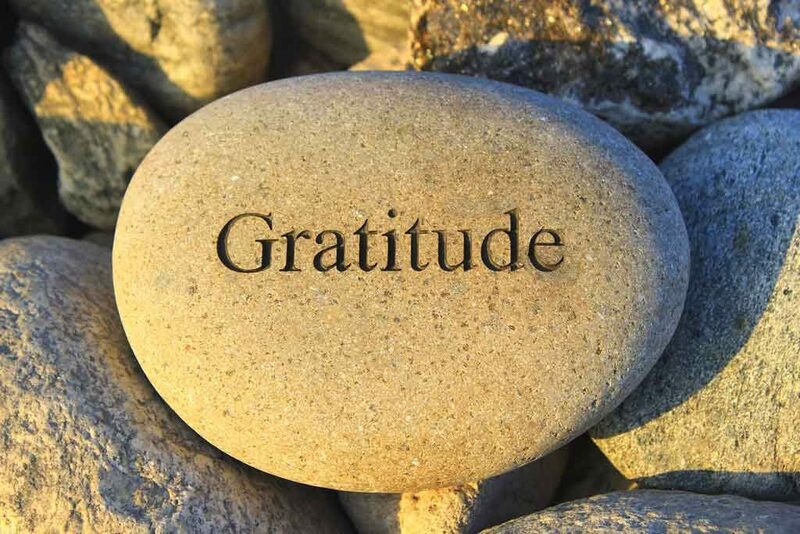 Being grateful has now come to mean–for me–choosing to open my mind and my heart non-judgmentally, learning from every situation, and being thankful for what life brings. While this perspective is not always easy, it is possible and, in my experience, worth the effort to cultivate a more loving and appreciative heart. Read the complete passage from 21 Days of Living Mindfully on Medium.